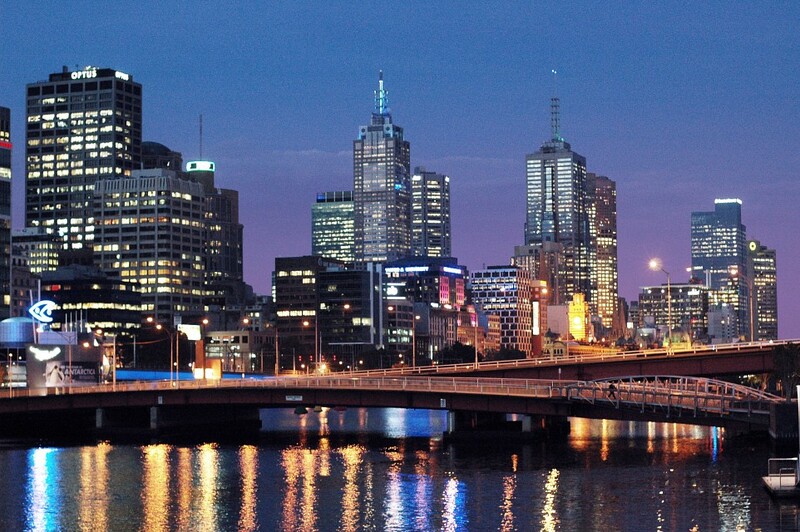 Melbourne is both the capital and largest city of the state of Victoria in Australia. It is also the city with the second-largest population in the country; only Sydney is bigger. Melbourne is a true metropolis, covering no less than 3,800 square miles and home to slightly less than 4.5 million people. Besides being a major financial hub in Australia and the Asia-Pacific, it is also the country’s capital of culture, sports, and cuisine. The city has several renowned art galleries, museums, and theaters and a thriving street art scene; it is also well-known for its food, thanks to its multicultural population. Two facts illustrate how multicultural Melbourne actually is: it is home to the largest Greek population outside of Greece and the second-most common last name, after “Smith”, is the Vietnamese “Nguyen”. There are large Indian, Malaysian, Chinese, and South African communities as well. Melbourne is the location of several major sporting events, such as the Australian Open Tennis Championships, the Melbourne Cup horse race, the Aussie Rules Football finals, and the Australian F1 Grand Prix. 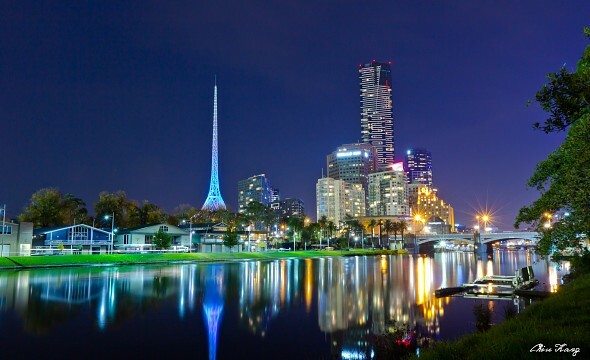 Additionally, Melbourne is also the birthplace of the Australian movie industry, the Australian television industry, and Australian impressionist art, and is recognized as a UNESCO City of Literature. 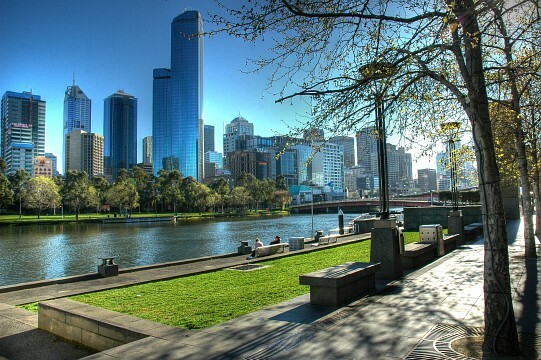 The city is intersected by the beautiful Yarra River , on the banks of which lie beautiful parks and gardens. Melbourne is a great base to explore the surrounding area and see places such as Grampians National Park and the Great Ocean Road. Because of its combination of green spaces, food, sports, and culture, Melbourne nearly always ranks as one of the most livable cities in the world. Before the European settlers arrived, the Melbourne area had already been inhabited for more than 30,000 years. It was the homeland of three Aboriginal tribes. 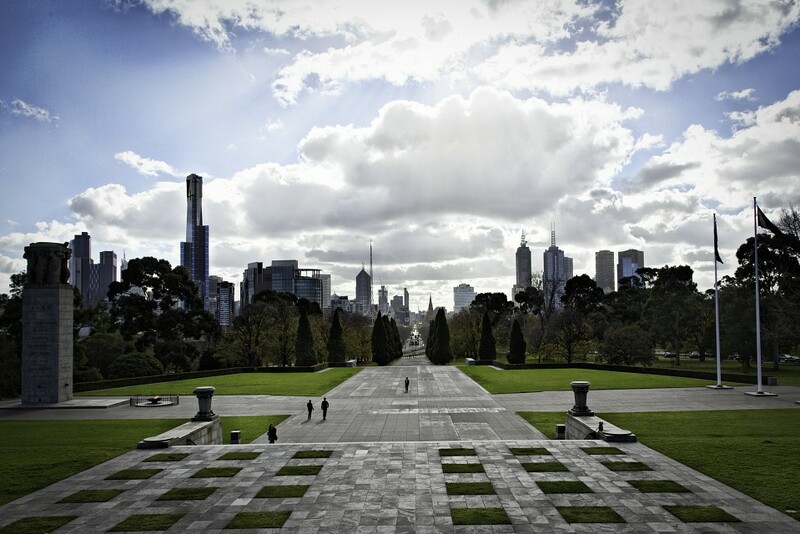 The modern history of Melbourne began in 1835, when settlers from Tasmania acquired land from the indigenous tribes. Only two years later, the streets of the new town had been laid out in great detail. The town was named ‘Melbourne’ after British Prime Minister William Lamb, Second Viscount Melbourne. The new colony, Victoria, became independent from New South Wales in 1851 and in the same year gold was discovered, causing a major gold rush. The city and state became increasingly wealthy over the course of the 19th century. In 1901 the British colonies in Australia became an independent nation with Melbourne as its temporary capital – until Canberra was built. Melbourne’s population grew enormously after the Second World War, many immigrants arriving from Italy, Greece, and the United Kingdom. In the 1970s, immigration waves coming from Southeast Asia and China made the population even more multicultural. Melbourne is situated in Southeastern Australia at the head of Port Philip Bay. It lies at the mouth of the Yarra River and is surrounded by the Yarra Valley, the Dandenong Ranges, the Macedon Ranges, and the Mornington Peninsula. The city center is known as the City of Melbourne, but the greater metropolitan area includes thirty other municipalities. Melbourne’s climate is moderate oceanic. The weather is known to change often, mainly because the city is located between the hot inland regions and the cold Southern Ocean. Summer is definitely the warmest season, while winter is the coolest and wettest. Spring and fall are similar seasons and feature dramatic changes in weather. 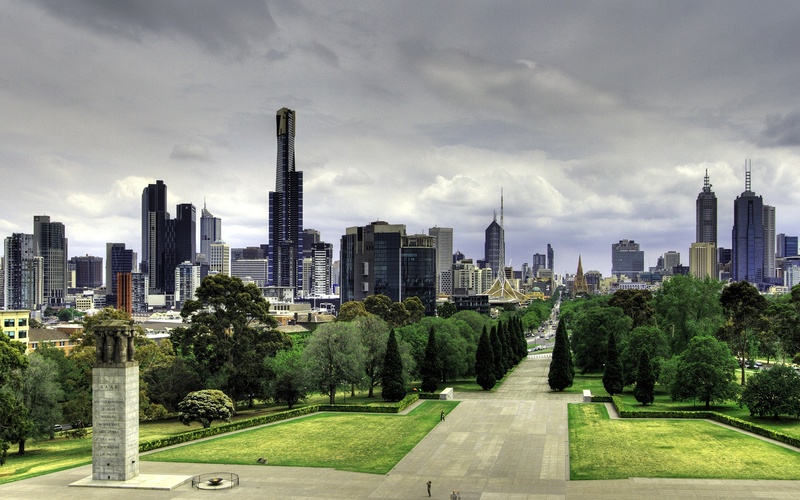 Melbourne is the third-driest, Australian capital city. It gets, for instance, only half of Sydney’s precipitation. The Melbourne Cricket Ground is arguably Australia’s greatest sports stadium. Located at walking distance from the CBD in Yarra Park, it is home to the Melbourne Cricket Club and is associated with some of the greatest sports moments in Australian history. This was where test cricket and Aussie rules football were invented. The stadium had previously hosted the 1956 Olympics, the 1992 Cricket World Cup,and the 2006 Commonwealth Games. It has a capacity of more than 100,000, making it the eleventh-largest stadium on Earth. Melbourne Cricket Ground is a major attraction in the city and can be visited on a guided tour and, of course, during a sports game. The Queen Victoria Market is affectionately known as Queen Vic Markets, the Queen Vic and, among the locals, as Vic Market. This huge, open-air market covers 7 hectares, spread over two city blocks, and is in fact the biggest open-air market south of the equator. This bustling area has been the heart and soul of the city for more than a hundred years. Vendors sell everything from gourmet foods and locally grown fruit and vegetables to souvenirs and beauty products. It is an historic landmark in Melbourne and is listed on the Victorian Heritage Register. The National Gallery of Victoria consists of two art galleries, located a short stroll from one another. Housed in an impressive building, it exhibits a superb collection of European, Asian, American, and Oceanic art, a collection that is made up of more than 70,000 works of art and is considered to be one of the finest in the Southern Hemisphere. NGV International offers tours, exhibitions; talks, movies; performances, and children’s programs. The Arts Centre Melbourne is the hub of the performing arts in Victoria and the focal point of the cultural district, the Melbourne Arts Precinct, in Melbourne. It is located in the central Melbourne suburb of Southbank, along St Kilda Road and near the Yarra River. The arts complex is easily recognized by its striking spire and is made up of three venues, which combined host more than 4,400 events and performances each year. It is by far the largest and busiest performing arts center in Australia. The three venues are the Theatres Building, home to the Playhouse; Fairfax Studio and the 2,077-seat State Theatre, which has one of the world’s largest stages; the Hamer Hall concert venue, with its 2,661 seats; and the Sidney Myer Music Bowl, an outdoor area in nearby Kings Domain that can seat 12,000 people and is used for outdoor concerts. Melbourne’s number one entertainment venue, the Crown Entertainment Complex combines three luxury hotels (Crown Towers, Crown Metropol, and Crown Promenade), more than forty restaurants; bars and cafés, two nightclubs; an indoor amusement park, a live theater; and the Southern Hemisphere’s largest casino. It attracts more than 18 million visitors each year. Federation Square is one of the city’s most-visited public places. It is a unique cultural precinct in the heart of the city, located at the intersection between Swanston Street and Flinders Street in the CBD and right across the street from Flinders Street Railway Station, the busiest station in the city. It consists of two open squares (St Paul’s Court and The Square) and one covered square (The Atrium). The Square, the main square, is paved with 470,000 sandstone blocks from Western Australia. The complex also has a few sections of greenery, planted with eucalyptus trees. A large feature of Federation Square is its enormous fixed public screen. Large events, such as the World Cup, the Australian Open, or the Finals of Aussie Rules Football, are broadcast there. During these broadcasts, the square fills up with thousands of spectators. 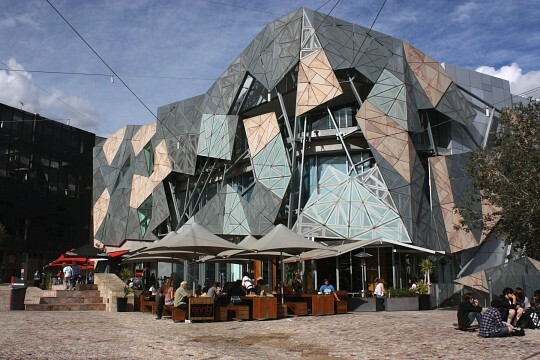 Federation Square is home to several cultural attractions, events and many excellent restaurants, stores and bars. Since its opening in 2002, the square has become Melbourne’s number one meeting place: it now gets more than ten million visitors per year. 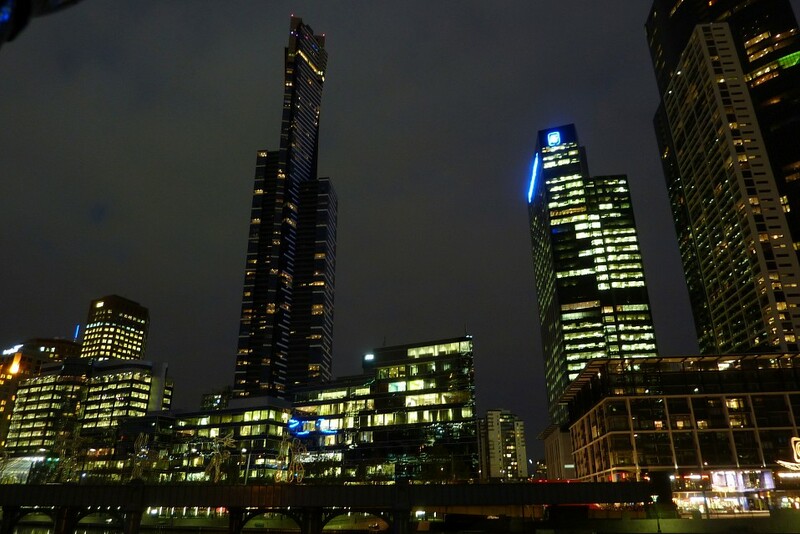 The Eureka Tower is the tallest residential structure south of the equator. The building’s main attraction is Eureka Skydeck 88, the highest viewing platform in the Southern Hemisphere. The Edge is a glass cube that slides out from the building, offering thrilling views of the city. Unsurprisingly, those panoramic views are spectacular. Flinders Street Railway Station is a historic building in the middle of the CBD. 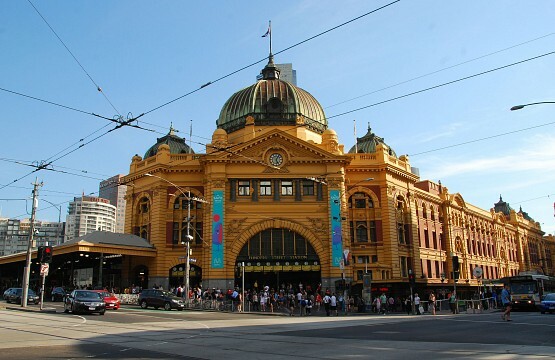 It is a major railway station located on the corner of Swanston Street and Flinders Street. This huge building, with its arched entrance, green copper dome, yellow façade, tower and several clocks, takes up two city blocks and lies between Swanston and Queen Streets. There are no less than fourteen platforms, one of which, at 2,323 feet, is the fourth-longest platform in the world. Serving the entire metropolitan area, the railway station is a popular meeting place. More than 90 million passengers pass through the station each year. On a daily basis, it handles 1,500 trains and 110,000 commuters. Flinders Street Railway Station is probably the most famous building in Melbourne. 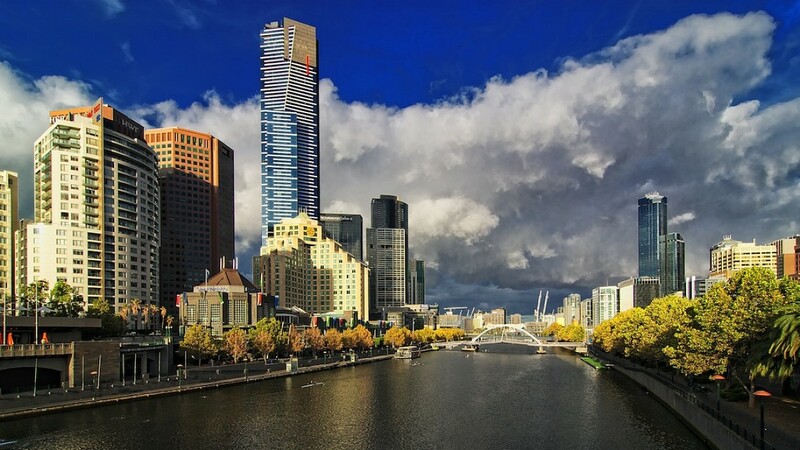 The iconic Yarra River runs through the heart of Melbourne and is the location of many events, such as the Melbourne Festival, the Dragon Boat Festivals, the Moomba Festival, and several rowing regattas. River cruises travel between highlights on the shores and offer great views of the city. The banks are dotted with pretty picnic spots, fishing platforms and barbecue facilities. Melbourne Zoo is located about five minutes from the city center and is home to 250 animal species. 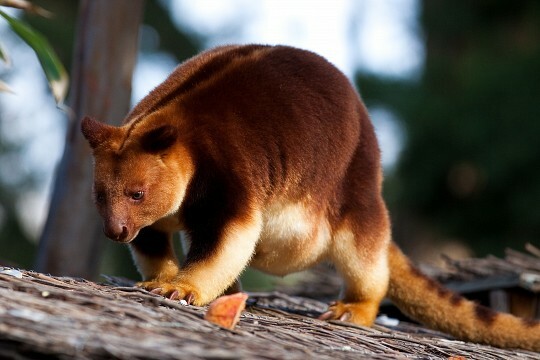 There are elephants, tigers; monkeys, orangutans; penguins, and of course, also Australian natives such as platypuses, kangaroos, koalas, and wombats. The zoo offers a great, informative and relaxing afternoon activity. The State Library of Victoria is the central library of Victoria. It is the oldest public library in Australia and one of the most important cultural and heritage sites in the state. This large library occupies 22 buildings on a city block in the north of Melbourne’s CBD and holds no less than two million books and 16,000 serials, which include the diaries of the founders of the city, John Batman and John Pascoe Fawkner, and notes by Captain James Cook . In addition to books, there are also a couple of museums. The original armor of bushranger Ned Kelly is a definite highlight there. The main building is an architectural masterpiece. The lawn in front of the imposing façade is a popular lunch spot and meeting place among Melburnians and university students. The Royal Botanic Gardens Melbourne are a masterpiece of urban landscaping. It consists of an incredibly diverse plant collection, beautiful lakes, and quiet pathways. The plant collection features Cycads, cacti; rainforest plants, roses; camellias, herbs; and so on. 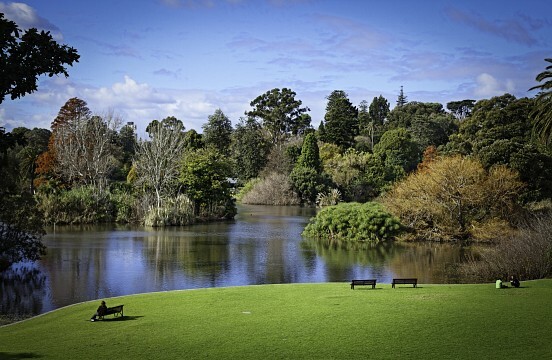 It is a hugely popular place to go for walks and enjoy the outdoors; even native wildlife seems to enjoy it there; the gardens are home to kookaburras, black swans, and cockatoos. In summer the Royal Botanic Gardens hosts outdoor exhibitions, theater performances, and even movies on huge screens. Old Melbourne Gaol is an award-winning museum and one of the oldest remaining buildings in the city. It was built in the 19th century, when criminal activities increased dramatically. It is housed in a stunning bluestone building and was the site of more than 130 hangings. It was here that the (in)famous bushranger Ned Kelly and gangster Squizzy Taylor were held. It is a major attraction in Melbourne and strongly recommended if you want to get a deeper insight into Australian history. Particularly the Crime and Justice Experience is fantastic. One of the largest museums in the Southern Hemisphere, the multi-award-winning Melbourne Museum displays Aboriginal culture, science, the environment and the social history of Australia. The complex consists of Bunjilaka, the Aboriginal Cultural Center, a Melbourne Story Exhibition that features the city’s rich history, the massive IMAX Theater Melbourne and large, natural history section, featuring dinosaur skeletons, a living rainforest, venomous spiders, and much more. There are a Children’s Gallery and a Museum shop as well. St Kilda is Melbourne’s favorite beachside suburb and a popular hangout among backpackers. This is a place of beachfront promenades lined with palm trees, arts and craft markets, live music and plenty of bars and pubs. St Kilda Breakwater is where you can spot small penguins, while the St Kilda Sea Baths offers heated seawater pools and spas. The Luna Park is an amusement park full with fun rides. Melbourne is also considered to be the fashion capital of Australia, boasting numerous shopping malls and streets lined with stores and boutiques. 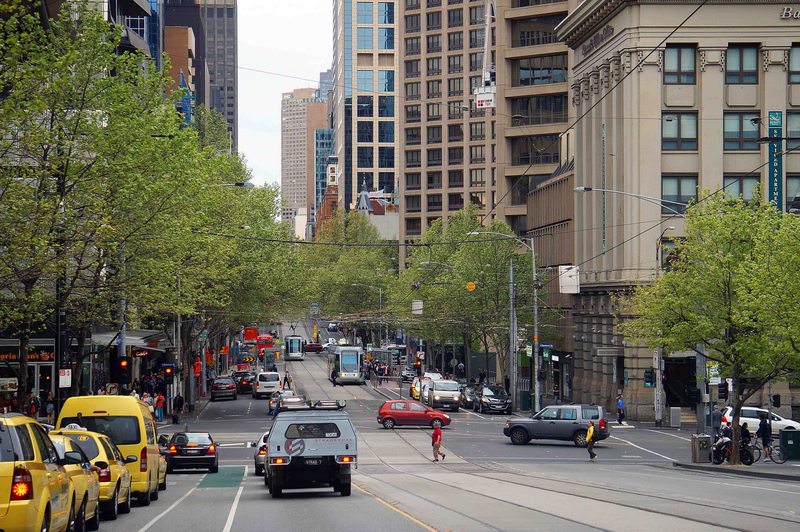 In the CBD you can find most of the world’s top designers on Little Collins Street. Many suburbs – Fitzroy, Armadale, Prahran, and St Kilda – have clusters of boutiques and shop-lined laneways as well. It’s not only about fashion though; virtually everything can be purchased in the city. 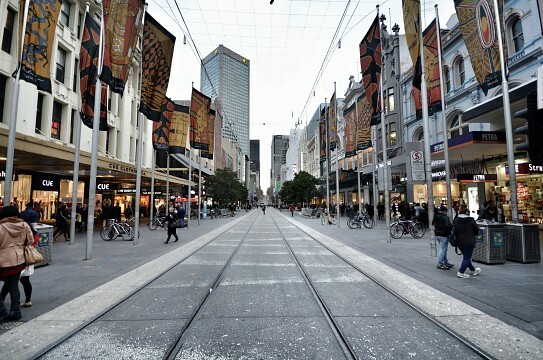 Melbourne is home to many huge department stores and expansive shopping centers as well. Bourke Street Mall, Melbourne Central, and Melbourne Emporium are the biggest ones. For fresh produce, clothing, souvenirs, and other goodies, you should definitely visit Queen Victoria Market. Most of the things sold there are a lot cheaper than anywhere else in Melbourne. Melbourne is one of the best destinations in the world for foodies. The city offers a dazzling mix of cuisine from all over the world, from African and Caribbean to Mediterranean and Asian. There are countless excellent restaurants in the city. It doesn’t matter what you’re looking for, be it sushi, gyros, kebab, fish and chips or a hamburger, you will absolutely find it. The large Italian population has created a fantastic coffee culture in Melbourne. You won’t a better cappuccino anywhere else in Australia. 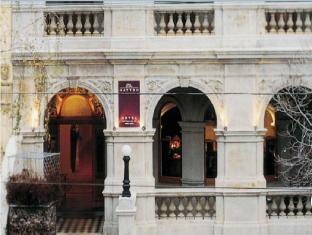 In addition to cafés, the city is also dotted with bars and pubs where you can enjoy a pint of beer or a glass of wine. That wine, by the way, is most likely to come from the nearby Yarra Valley or Barossa Valley, two major wine regions that are strongly recommended to visit. Most of Melbourne’s accommodation is found in the city center; there are a few options in the suburbs too though. Types of accommodation range from the most luxurious lofts with hot tubs and panoramic views to 12-bed hostel dorms. Several luxury hotels can be found in the inner suburbs, examples are Grand Hotel Melbourne, Hotel Lindrum, Clarion Suites Gateway, The Blackman, and The Sebel Melbourne. Budget backpacker accommodation is found in either the city center or the suburb of St Kilda. Two airports serve Melbourne. Melbourne Airport, or Tullamarine Airport, is the main international and domestic airport, while the smaller Avalon Airport is used by (low-cost) domestic carriers. 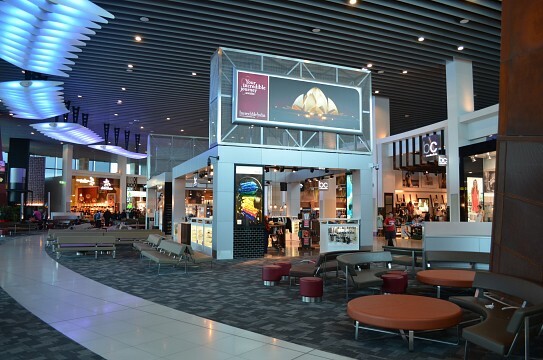 Melbourne Airport is served by major airlines like Qantas and Virgin Australia, but also by Regional Express, Tigerair Australia, and Jetstar Airways. Numerous daily flights connect Melbourne to other major cities elsewhere on the globe. There are direct flights to Los Angeles, Bangkok, Singapore, Dubai, Doha and so on. The nearest major Australian cities are Sydney and Adelaide, both can be reached by car along the Princes Highway, the main loop road around the country. Getting to Melbourne from Tasmania is possible by plane and ferry. Getting around in Melbourne is relatively straight-forward. Despite it being a huge metropolitan city, most of Melbourne’s attractions lie either in or within short distance of the city center. You can walk from one to the other or use public transport. Melbourne’s tram network, for example, is world-class and is in fact the most extensive in the world. Trains stop and depart in Flinders Street Railway Station. There are also many excellent bike paths throughout the city and bicycles can be rented at various locations across Melbourne.